Waiting for Bojangles is a dark, touching and sometimes funny story. It's told from the POV of an unnamed, young boy growing up in an unconventional home in France with his eccentric parents George and Louise. His parents appear madly in love but, something is off. Everyday they enjoy colorful cocktails and dance to the song, Mr. Bojangles while George calls his wife by different first names. In reality, Louise suffers from mental illness and George is only trying to protect his wife when those highs quickly descend to new lows. This debut novel reads as if it could be autobiographical but, the author claims it is not. The characters are ones that I came to care for with a feeling of real love within the family despite the sometimes unpredictable behaviors of the parents. Although parts of this short novel made me laugh, there is also sadness within the pages as well. I do understand why this won a literary award in France. The translation by Regan Kramer was very good. In this thriller, Lacy Stolz and Hugo Hatch work for the Florida Board of Judicial Conduct. When an alleged corruption case is brought to light by a disbarred attorney, the two have their work cut out for them as their investigation takes them into dangerous territory. The case involves a female judge who reportedly has been taking in $250,000 each month in Indian gaming casino profits for the last 11 years. The Indian gaming casino, a corrupt chief, skimming by a mafia don and the corrupt judge made for an interesting story. The Cassandra Campbell narration made this enjoyable but, the story was way too long and far from perfect. I do miss the quality of those earlier Grisham thrillers. I am just beginning Calico Joe. Hope it is as good as all the other JG books I've read. What I liked about The Whistler is that it is different from his usual fare since it involved American Indians. But, I also miss the old-style Grisham, too. Yes, I did like the Native American Casino backdrop. Sounds like some pretty good ones even if Grisham was just so-so. It was way to long Brian. It's been years since I read a Grisham book. I somehow got away from them and I'm not particularly inclined to go back. I might reread an early book by him, but that is probably it for me. The early books by Grisham were the best. Same is true for Patterson and all those authors who mass publish after a while. 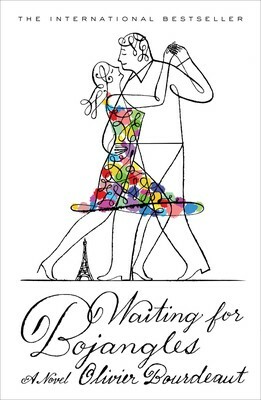 Can't wait to read Waiting for Bojangles. I'm happy to know that you liked it. Very short and sweet story. An interesting pair. I have not read Grisham in quite a while. I may skip him for a while. Like Kay, I'm not interested in reading any more by Grisham. He was a favorite many years ago, but not as of late. I am, however, very interested in Waiting for Bojangles! Very short novel but, worth reading. 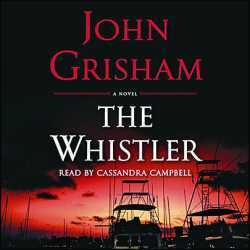 I haven't read Grisham in a while but Cassandra Campbell is great eh? Love C.C. as an audiobook narrator.